Roger Dubuis hosted a private preview and cocktail for its exquisite 2016 novelties in the Pacific Place boutique recently showcasing three excellent worlds of Roger Dubuis – Excalibur, Hommage and Velvet and to sport some of the Maison’s signature timepieces on their wrists.The boutique design seamlessly mirrored the Manufacture’s position as the pioneer of contemporary skeleton and as a specialist in architectural and technical mechanics, which are embodied in the legendary Excalibur collection. To further highlight this, the latest emblematic Excalibur Automatic Skeleton Carbon was showcased alongside other 2016 novelties. 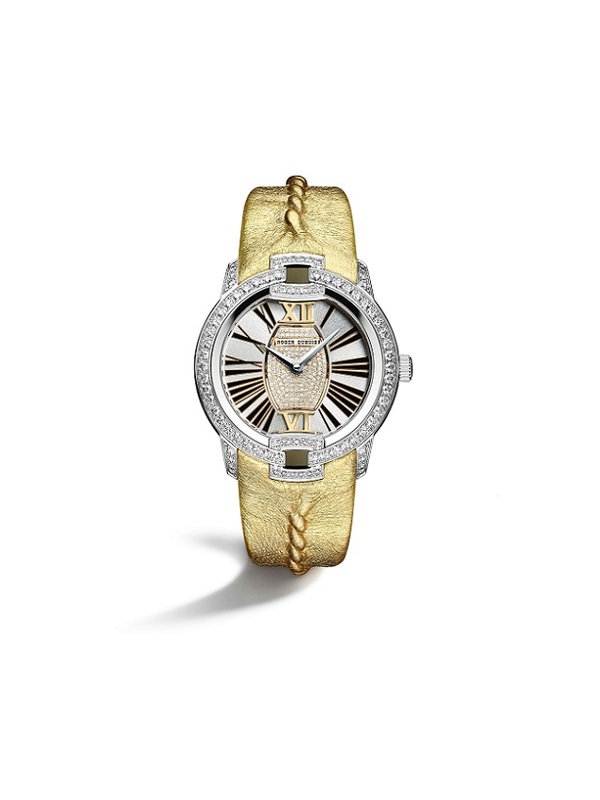 Proudly proclaiming 2016 the Year of the Velvet Diva, Roger Dubuis has turned the spotlight on women with a gorgeous array of jewellery timepieces. Interweaving unrivalled temperament and captivating audacity is the Velvet Collection, inspired by Hollywood’s Golden Age Divas that were devastatingly beautiful and inspirational. Destined to conjure up the multi-faceted complexity of feminine nature, the stunning pieces from this year’s SIHH, together with other 2016 novelties evocative of the contemporary femme fatale, were presented in Hong Kong for the first time for public viewing. Highlighting the event is the latest sublime creation jointly designed by Roger Dubuis and the master Parisian shoemaker Massaro, the Velvet by Massaro – Greta. This magnificent timepiece salutes the silver-screen legend Greta Garbo, epitomizing the best of the two champions in craftsmanship and aesthetics. 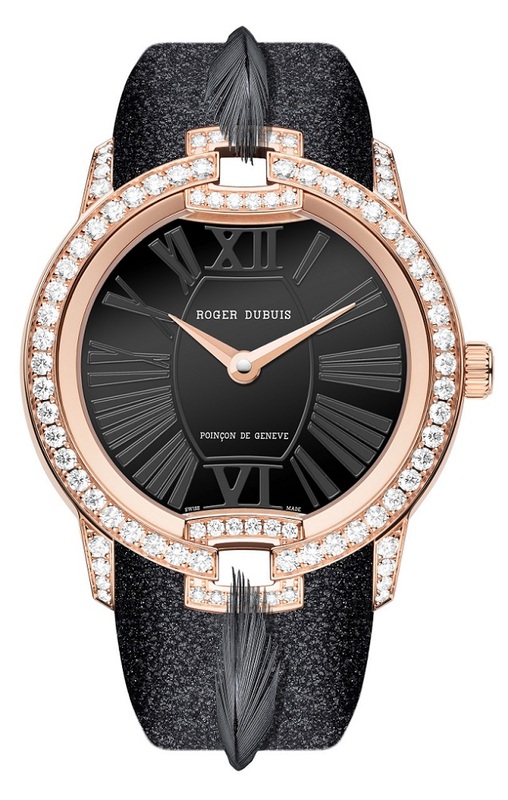 An aura of mystery is expressed through black feathers delicately crafted by Laurence Le Constant and cleverly interwoven into the dusky strap, as well as the black lacquered dial with tone-on-tone charcoal markings evoking the elusive brunette nicknamed “The Swedish Sphinx”. Another timepiece from the iconic collection is the latest Excalibur Automatic Skeleton. This extravagant model appears in a spectacular new interpretation clad in white gold. 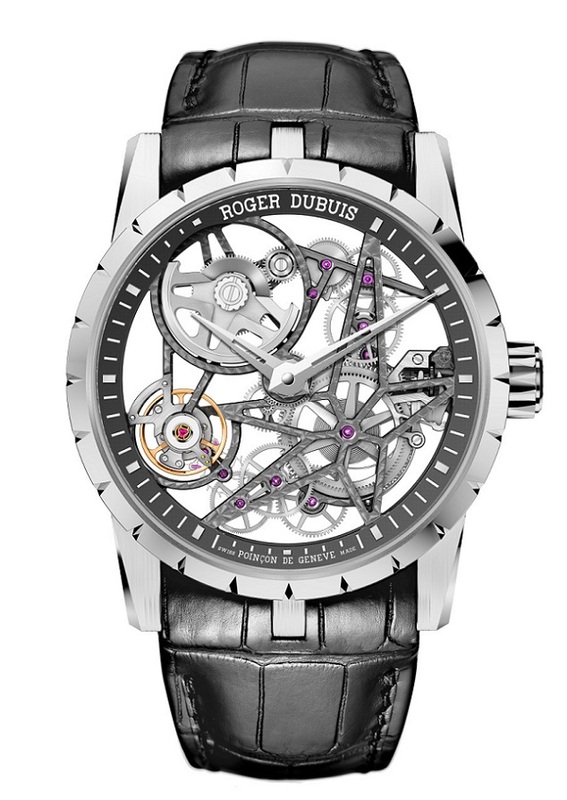 Being one of the first automatic skeleton watches of Roger Dubuis with a micro-rotor powering its movement, it embodies an expression of style and watchmaking mastery which perfectly captures the spirit of Roger Dubuis. This skeleton timepiece attuned the world of the chivalrous Warrior with an avant-garde touch, fully delivering the technical excellence and powerful aesthetic which forged the Excalibur collection. A new member to the Hommage collection, a reinvigorated line-up which pays eloquent tribute to haute horology, the Hommage Open Dial is a new and intriguing interpretation continuing the challenge of the codes of classicism. 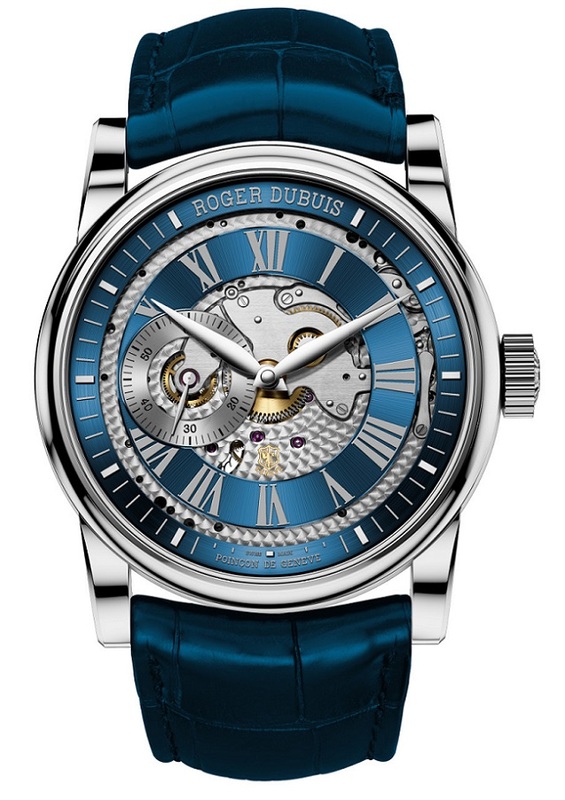 The daring design of the dial through a central opening offers a privileged view of the movement joined by a second circular opening which embraces the Roman numerals, creating an unexpected decorative effect.